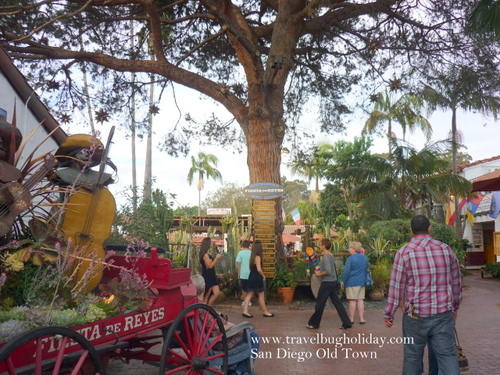 It is very easy to get to the old town from downtown San Diego. You just catch the green trolley and it will get to old town directly. However if you are not based in downtown, you can take a bus # 8, 9, 10, 28, 30, 35, 44, 105, 88. 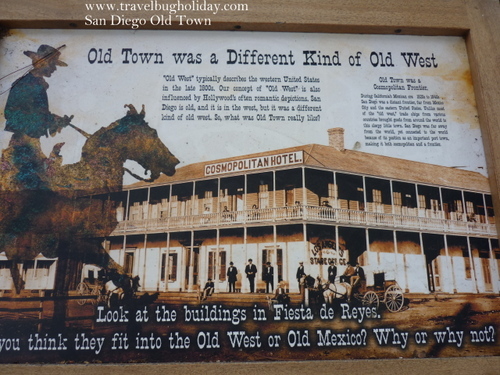 Old town is definitely worth visiting. It is colorful, Oh yeh ! full of fun and very entertaining. 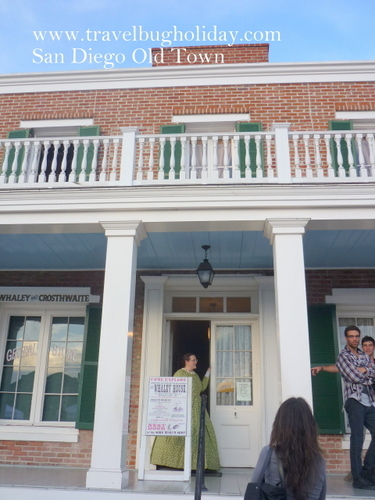 It is a historical, quaint little town. 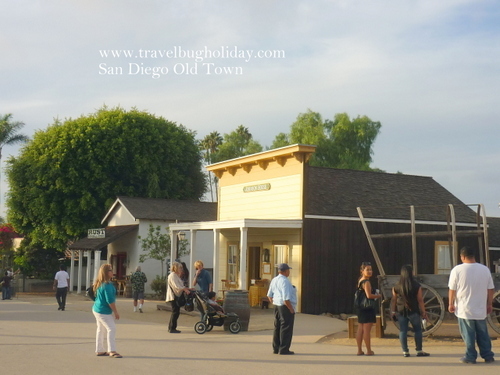 It is also referred to as the "Birthplace of San Diego" as back in 1769, Father Junipero Serra came here to establish the very first of the 21 missions that were to be the cornerstone of California's colonization. Some might say... one Old Town is the same as another Old town, just to cash up on tourist. Well, in one sense it is true. However, I think if you visit a country or a place, you mostly like to see what it was like before it all become modernize. One can also say one modernize town is the dame as another but in my humble opinion, it is quite different due to the people living there and their culture. See any difference to the "new" building? 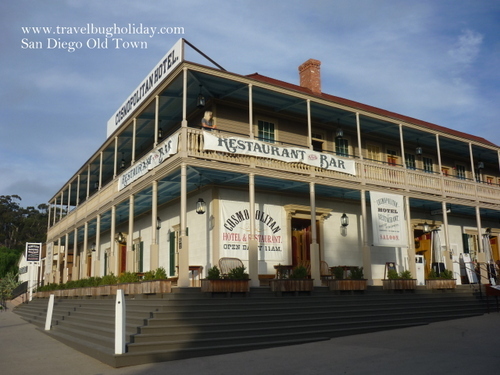 What you see today of the Old Town is a heritage town set in the days during g 1821 - 1871 period. It has been beautifully preserved and well worth a visit. 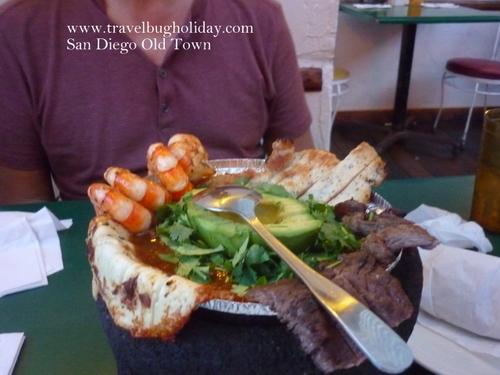 Although, it is now a tourist area with more than 150 shops, many Mexican restaurant and historic sites, it also has 17 museums! - Shops and restaurant inspired by the 19th century pubic life. 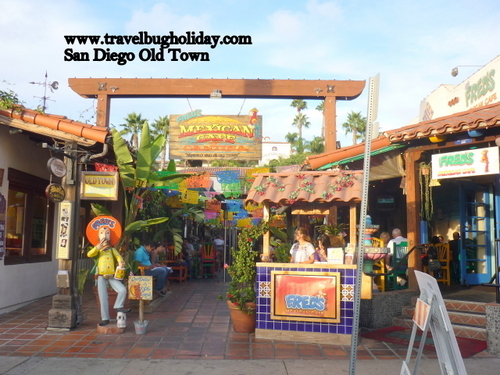 Go to Old Town for lunch or dinner and enjoy the many stores, free tour offered before/after lunch or dinner.